Happy New Year! We have an open thread today and tomorrow. Tonight’s the night to celebrate the end of 2018 and the beginning of 2019. What’s your celebration style, raucous partying or quiet evening at home? Or something in between? Do you have any resolutions for 2019? And what were your biggest accomplishments of 2018? Looking back and looking forward, politically speaking? Tweeting about a book that sat on the shelves for 27 years…A little Totebag love for the “unloved” books. What’s the oddest title in your collection (print or digital)? Or the oddest “section” of books if you’re like me and organize your shelves by topic then author? What motivates really rich people? I wouldn’t have chosen the title of this article, but the idea that wealthy people are driven more by competitiveness than desire for money was interesting. It makes me ponder taxing the incomes of people who are not dual professional couples paying off student loans more. At a certain point, another million dollars doesn’t make anything newly affordable. That’s when other motivations take over. Merry Christmas! Today and tomorrow we can chat here on any topic as we enjoy the holiday. The political year is starting to wind down. Parents in the school lunchroom? I’m not familiar with the idea of bringing lunch to school at lunchtime, but bringing in a warm lunch from home (which I’m equating with home cooked and therefore ‘healthier’) sounds like a habit to encourage and the solution seems to meet the needs of the parents, students and school staff. Totebaggers are fond of our national parks, but now the parks are becoming victims of their own success. What do people think should be done to maintain them? Horseshoe Bend is what happens when a patch of public land becomes #instagramfamous. Over the past decade photos have spread like wildfire on social media, catching the 7,000 residents of Page and local land managers off guard. According to Diak, visitation grew from a few thousand annual visitors historically to 100,000 in 2010 – the year Instagram was launched. By 2015, an estimated 750,000 people made the pilgrimage. This year visitation is expected to reach 2 million. Open thread all day today. Here on the Totebag it seems that most people imagine retirement as getting closer to kids. Maybe it’s my phase of life (I love my kids and have SO much closeness with them) but a little space seems nice. I see my parents 4-5x per year; if I lived in Ecuador, I could make the trip to visit the grandbabies/museum openings/bail hearing at roughly the same frequency. Also, due to my line of work, I see a lot of people who deeply regret the retirement choices they made – the 66 year old who find out he has a year to live, for example. Of course, they are statistical abnormalities, but their stories stick. Retirement in America? Too Expensive. A new book examines the lives of expats in Ecuador and their struggle to stay in the middle class. Here’s our place to discuss politics. Yes – the video is real. Thieves snatched a shark from an aquarium using a baby carriage. It’s like a Bugs Bunny cartoon come to life. But the culprits did not get away. The article also references the fact that some tech types in Sweden are implanting a microchip into their finger which can be used to pay for things. Cell phones – particularly as it concerns kids. I am finding that a lot of parents of older kids are taking phones away as discipline tools. What about the younger kids ? I see cell phones quietly being given to keep kids entertained. Of course there is question of when to give kids a cell phone – what is the Totebag consensus ? I find myself texting my kids after they leave the house and before they begin school and conversely they text me when they are done with school – all mundane matters. Is that good or bad ? We have an open thread all day today. Some Native kids who leave to pursue education find themselves stuck between a longing to help their community and the lack of viable employment back home. We’ve talked about winning the geographic lottery at birth, which occurs when you are born/grow up somewhere with professional job opportunities. One of the reasons some people are reluctant to invest in higher education is that they don’t want to move and their communities have few jobs with returns to higher education. Any political thoughts this week? Gifting gone wrong, and of course it’s opposite – gifting gone right. Help: Are you having trouble finding that perfect gift for a friend or family member? 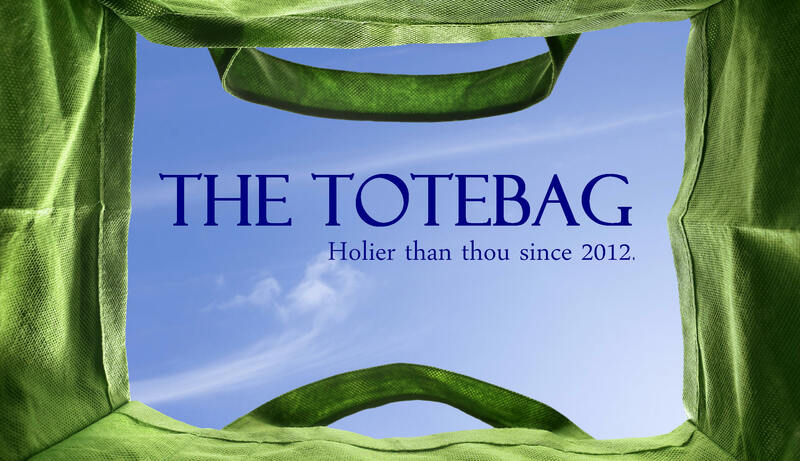 Ask the Totebag community for suggestions. Traditions: What are your family’s gift giving traditions? Have they changed as you’ve had kids, or your kids have grown up? It’s all about me: What are you hoping to receive as a present? Do you buy yourself a present during this time of year? Complaints: Complain about any aspect of holiday gift giving. Grinches welcome! Totebag – what do you think? Since we still have many good topics in the pipeline, this week we will only have one open thread. I’ll continue to schedule only one open thread per week as long as we continue to have a generous flow of submitted posts. Here’s a starter. Nate Silver got a lot of disagreement on this tweet. Feel free to rank the months in your city, in NYC, or anywhere else. What is the Most Influential Book of the last 20 years? This article, from the Chronicle of Higher Ed, asks this question to a number of scholars. Not surprisingly, many of the books that are listed are dense reads. Some are overtly political; others have to do with culture, or the arts, or even the place of humans in a world of algorithms. I am definitely going to put some of these on my reading list. And of course, I started wondering what books I think are important. There are two ways to think about this. Which recent book or books are most influential to my own way of thinking? And which recent books or books are most influential to people in our society in general? What would you list? I am all ears, because I might find even more books to add to my already staggeringly long to-read list. What’s the most influential book of the past 20 years? Any politics on your mind?